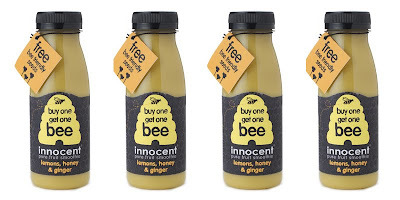 Loving the packaging for this new Buy One Get One Bee smoothie from Innocent with a little pack of bee-attracting flower seeds. The point being to help reduce the disappearance of bees in the UK in partnership with the National Trust. 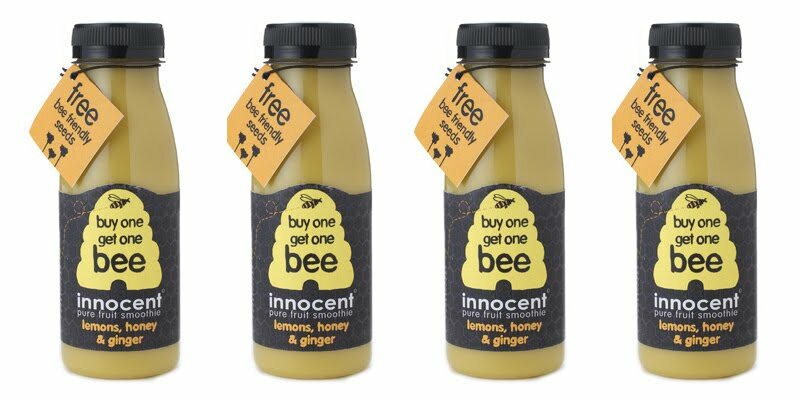 Design-wise, Innocent have always hit the nail on the head with lovely graphics and stellar copy writing, giving them a unique voice which other brands try to imitate with far less success. A brand that makes you smile is a very special brand indeed. 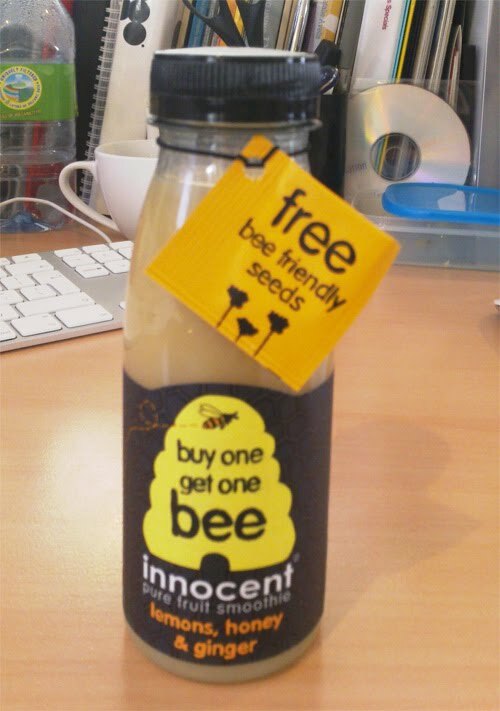 I'm off to plant my bee seeds!